Read about the recent news of the SVU Cleveland Chapter in the Spring Newsletter including election of officers, our annual installation dinner, and an upcoming exhibition at Bohemian Hall this summer. On Tuesday, May 20 at 7:30pm and Saturday, May 24 at 2:00pm Czech composer Leos Janacek’s “The Cunning Little Vixen” will be performed at Severance Hall by the Cleveland Orchestra. It will be performed in Czech! The Cleveland Chapter of SVU has arranged for 50% discount for the two performances using discount code 17818. This performance is termed the opera event of the year in Cleveland because of the elaborate electronic imagery. Martina Jankova, soprano, will sing the lead role. Janacek’s score mixes lyrical symbolic writing with Moravian folk music. On Thursday, April 17, 2014 at 7:30pm and Saturday, April19, 2014 at 8:00pm, the Cleveland Orchestra will perform a concert featuring Antonin Dvorak’s Cello Concerto and Tchaikovsky’s Symphony No 6 at Severance Hall, 11001 Euclid Avenue, Cleveland, OH 44106. The Cleveland Chapter of SVU has arranged for a 20% discount on tickets using CODE 18100 – tickets must be purchased by April 16th to receive the discount. Tickets can be obtained online at www.clevelandorchestra.com, by phone 216-231-1111 or at the box office . Later in the year on July 5th, Dvorak’s New World Symphony will be performed at Blossom Music Center, more on that in the future. The Czech Cultural Garden at 880 East Blvd. includes a bust of this world renown composer. Remember to plan a trip to the Czech Cultural Garden this summer! The Cleveland Chapter will again be a community partner with the Cleveland International Film Festival. The film, from the Czech and Slovak Republics, is Clownwise and screenings are Saturday, March 29th and Sunday, March 30th. To receive a discount for all CIFF ticket purchases, use the code SVU. 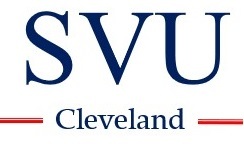 The SVU Cleveland Chapter will hold its annual general assembly meeting in April. Stay tuned for details. The Cleveland Orchestra will perform Janacek’s “The Cunning Little Vixen” on May 20th and May 24th. Promotional pricing to the May 20th performance will be available to SVU members and friends. More info to come! Read about these news items and more in the Winter 2014 Newsletter.